This will be our primary home and we are most concerned about the safety of our kids so strict security in the community is our utmost priority. Can you also please list down the available amenities and facilities. We prefer projects with good property management and strict home improvement guidelines.We also need a house near schools, hospital and malls and accessible to public transport. We are not familiar with property developers and we are hoping to get good advice from you. We are available for site viewing this coming weekend but we hope you can give us some property suggestions so we can do some research prior to site viewing. Above is an example of email inquiry. The client is a first time home buyer and not familiar with the area. As first time home buyer, the client makes sure they know what their preferred property is and even requires specific qualities of their future home like its location and the specifications of the house itself. Buying your first home like an expert is easy if you’ve done research not only on a certain project but also the location or the financing it requires. As seen on the sample above, she is not familiar with the location and there is no specific property developer or project. However, she remains open for other options and at the same time open for good advise. Being updated with the news, reading property reviews and real estate blogs are convenient nowadays to get you equipped with information regarding buying properties and the process of financing. Use Google Maps to verify target locations and see nearest establishments. The Altitude of Location is very good tool if it’s a high place; measure the site distance with Daftlogic; Flooded Areas; the Mortgage Calculators also is just a click above. Requirements in buying process for Bank, Pag-IBIG or In-house Financing are available online. 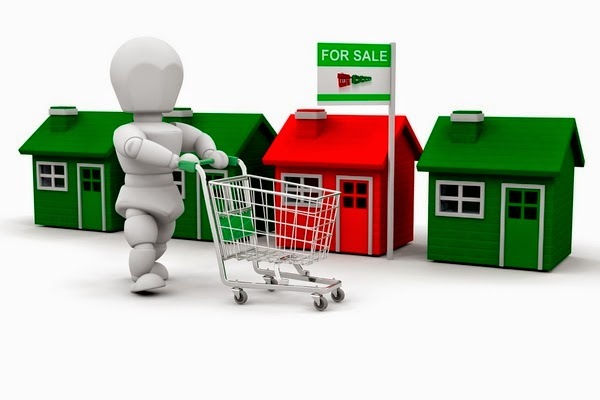 And for you buyers to be more knowledgeable I list down common terms and abbreviation in the buying process. * Definition of terms above and explanation in the next post. “After paying monthly amortization for 5 years, a client complained at developer’s office. He is complaining as to why the computation shows that by the end of their 10 year loan, the property of total price of 1 million would result to a 3 million Total Loan Value. " The reason for that is the loan interest for the home financing. Interest rate is a very common term – it’s an expense in availing home financing in bank, Pag-IBIG or thru In-house at developers. Now, be equipped with above terms and buy your first home like an expert. Read, do some research, ask questions, understand these common terms and be open to possible options.